Ahem, excuse me. On the right you'll find the slider version of Sloppi Jo's great red burger, a thick and juicy mini-patty of substantial beefiness with bacon, caramlized onion, cumin, a tiny melted pool of havarti cheese and red chile aioli. It's not as spicy as the green chile, but it's hearty, rich, hot and amazing. It's a whole lotta flavor packed into a few oozy, melty, juicy bites. 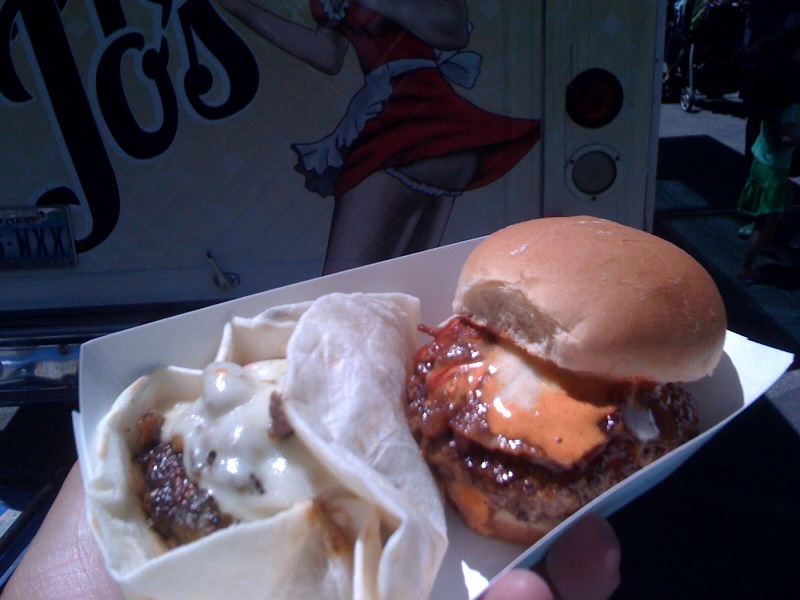 This is the best mini burger I've ever had, on a truck, off a truck, in a restaurant, whatever. The best. The only slider I ever liked better was ... um ... in a tortilla.